Celebrating FOURTEEN YEARS of Supporting Education in Chichicastenango, Guatemala! Maya Center for Rural Education & Well-Being (MayaCREW) supports children’s education, leadership programs and well-being services in the Municipality of Chichicastenango, in the Highlands of Guatemala. As a U.S. public charity, MayaCREW is primarily funded by individual donors as well as support from private foundations. 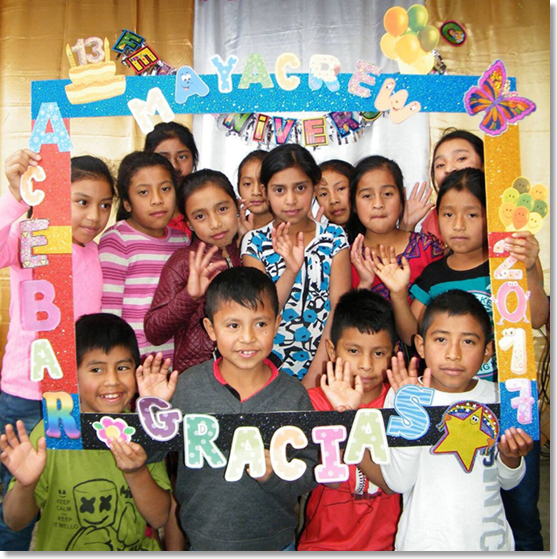 MayaCREW is a registered U.S. 501(c)3 public charity committed to providing a brighter future to impoverished rural Guatemalan children and their families. MayaCREW works in solidarity with Guatemalan grassroots partner organizations by extending material and intellectual support for long-term projects providing educational opportunities and sustainable public health options. MayaCREW was founded in 2004 (earning IRS 501(c)3 status in 2006) with the vision of alleviating ongoing poverty through the education of indigenous children. Collaborating with our Guatemalan partner non-profit organization, ACEBAR, we have funded over 3800 school year scholarships to date. We proudly celebrate that over 300 of our scholarship recipients have now graduated from high school. Our goal continues to be to see our scholarship students “beat the odds” and not only exceed the national average for education, but to see them go to middle school and graduate from high school. While many families in Guatemala live in a state of profound economic need, it is heartening to know that each day a child goes to school, it is a victory – each child who learns to read and write improves their chances of emerging from the poverty in which their family currently lives. Sustainability is extremely important in MayaCREW’s commitment to ACEBAR and to the children and parents of Chichicastenango. Scholarship numbers are carefully managed in order to ensure that the number of scholarships awarded can be sustained annually. With our students advancing into middle and high school, program costs naturally increase each year. 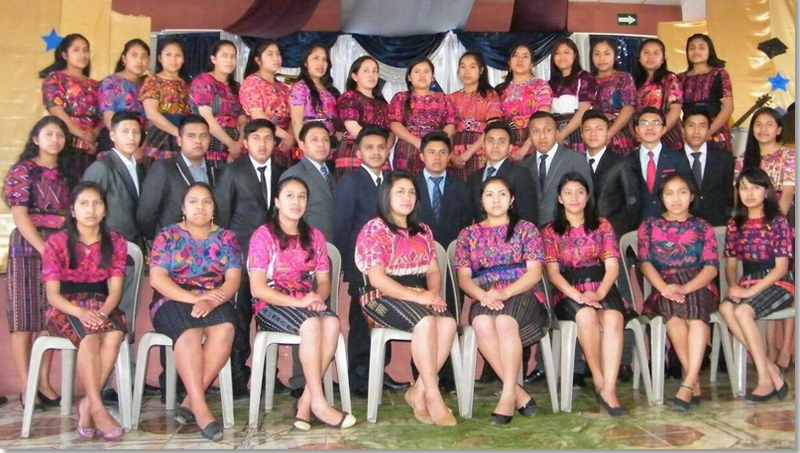 While other scholarship programs have come and gone in recent years, MayaCREW/ACEBAR’s presence in the community of Chichicastenango has been consistent and enduring. The community respectfully views MayaCREW/ACEBAR an important partner in the education of their children. Since becoming a US 501(c)3 public charity in early 2006, MayaCREW has funded over 3,800 annual scholarships. The cost of a scholarship increases as the recipients advance from primary to more advanced grade levels. MayaCREW continues to be recognized as a sustained presence of educational support in the municipality of Chichicastenango. Reproducing, copying, storing of images or content without the written consent of MayaCREW is prohibited. Photos represent children in rural schools and communities in the municipality of Chichicastenango. Not all children pictured are current scholarship recipients.